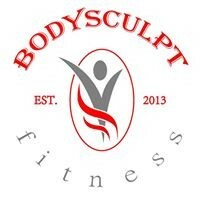 Start taking classes at Bodysculpt Fitness and other studios! Located in Hifi Fitness, enter the glass doors on N. Orleans and go downstairs to the front desk. Parking lot with discount code: call 312.751.1224 for information. Instructor was well intentioned, but I couldn't get over being called sweetheart and baby-- this gives me an ick factor from Southerners &amp; Brian didn't even have an accent, which really upped the ick factor. Workout www confusing, with several misdirections. No modifications were given, and when I modified on my own I was treated like I did something wrong &amp; had to announce to the class/justify why I did something differently. I could tell deep down Brian was a nice guy, but he didn't know how to adapt to newcomers (to either the studio or to exercising). Brian was Very good about correcting form. Brian is extremely helpful, nice, and knowledgeable, it is one of the best classes I've ever had, a great workout! Brian was wonderful. Killer class. Very hard, but Brian pushed us through. Great instructor, made sure to demonstrate moves for the new people. Amazing class!! Tons of ab work and Brian made it really fun! My abs are dead. Amazing. Best abs and core focused workout on ClassPass!